The Lucius Burch State Natural Area is a 728-acre natural area here in Shelby County. 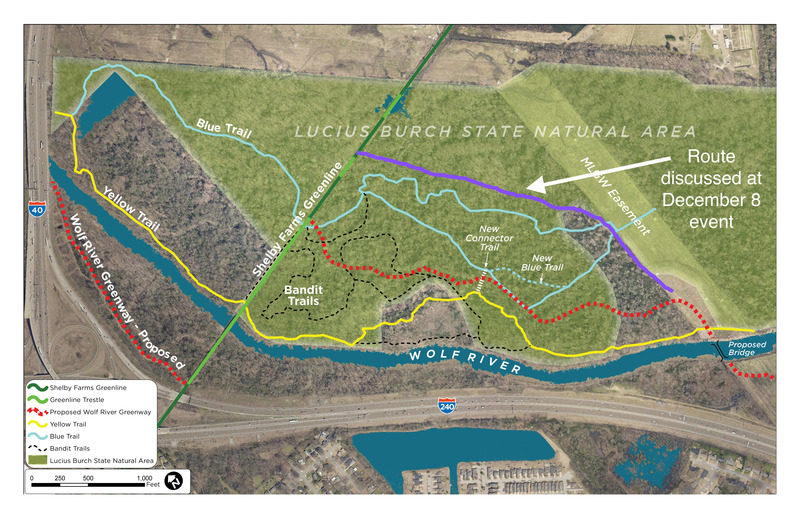 Proposed segments of the Wolf River Greenway would include an elevated boardwalk trail through a portion of the Lucius Burch State Natural Area, connecting with the Shelby Farms Greenline. A public meeting was held on December 8, 2015 at Ducks Unlimited in partnership with the Wolf River Conservancy, Shelby Farms Park Conservancy and Alta Planning & Design. Please click on the links below to see the presentation from the public meeting, along with a summary of the Q & A portion of the meeting. A separate public opinion survey was conducted on the proposed plan, and the Wolf River Conservancy has published the results below.